Very nice! They look to be Hat's Spanish Guerilla. Different sculptors on the set. Susofrick wrote: Different sculptors on the set. How did you know this, Susofrick? Well done again, well done. One question about basing: Irregulars should be based irregular - that's a common vision upon how to base irregulars for gaming, as explained in every rule set. What made you decide to base them so regular as twins in the exact centre of each base? You've done a really nice job on these. 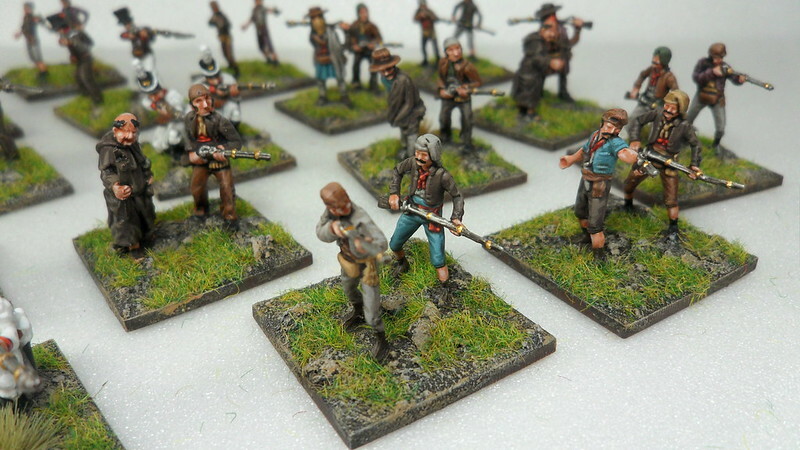 I've yet to find a use for the non-militia figures in this set based on the wargame rules I'm playing (other than as ox drovers) but am eager to work one of those priests in somehow! I like your painting-style. Great job! Perhaps the most surprising element of this set is the sculpting. Many years ago HäT intended to release some Spanish guerillas as set 6012, one of their 6000 series of sets with only four poses. That range was not well received by the market and instead the subject was finally covered by this very much larger product. Nevertheless the four original poses had been sculpted, and they are the Catalonians that can be seen on the first row. They are slim, elegant and very nicely done. Detail is great and they rate as excellent sculpting jobs. This is reminiscent of some earlier HäT output, but when it came to sculpt the extra figures needed for this set they were done by a different sculptor in the very different style, as demonstrated by the rest of the poses. The contrast is clear for all to see, regardless of which style you prefer. As they'll work as skirmishers, I chose to base them in pairs, like the rest of my skirmishing units. I put them in the centre of the base (or better, closer to the back) to better protect their extended guns from touching other objects, and chipping off the paint. How could I not think of that source? A very practical reason (and recognizable ) and it does not make your work less beautiful. Thanks Paul! Had forgot where I saw it! Other than that I can say that I have have a little book (in Swedish) that's called "The art to know best". Had to buy it when I saw it at a fleamarket. It's crap, but the title makes it worth having. And it was VERY cheap! 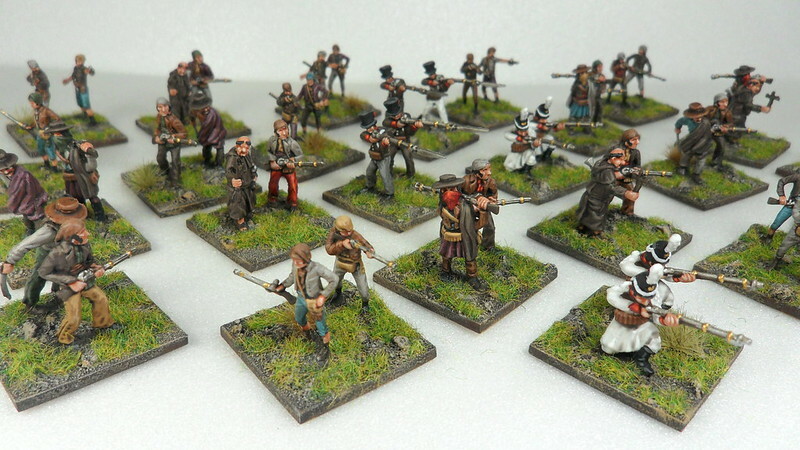 Terrific painting, a very impressive group of figures.